Copa Style Magazine's Atlanta Correspondent reports on the Brett Johnson Trunk Show at Neiman Marcus. "Brett Johnson's Atlanta Trunk Show"
Well folks it's that time again, seasoned designers as well as "Newbies" to the Fashion World are excited and filled with anticipation to showcase their finest FALL / WINTER COLLECTIONS. 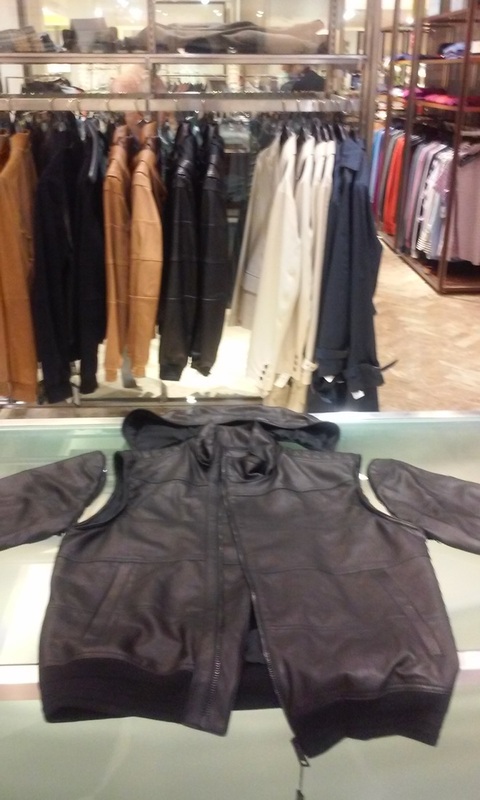 ​Because I'm ​in Love with​ "ALL THINGS FASHION" both Men & Women, ​I​ ma​de​ my way to​ ​Neiman Marcus located in Lenox Square Buckhead, GA to ​view new Men's designer, Brett Johnson's Collection. ​Upon entering ​the ​Men's Department, I ​introduced myself to​ Mr. Robert "Bob" Johnson, former owner of BET NETWORKS​. 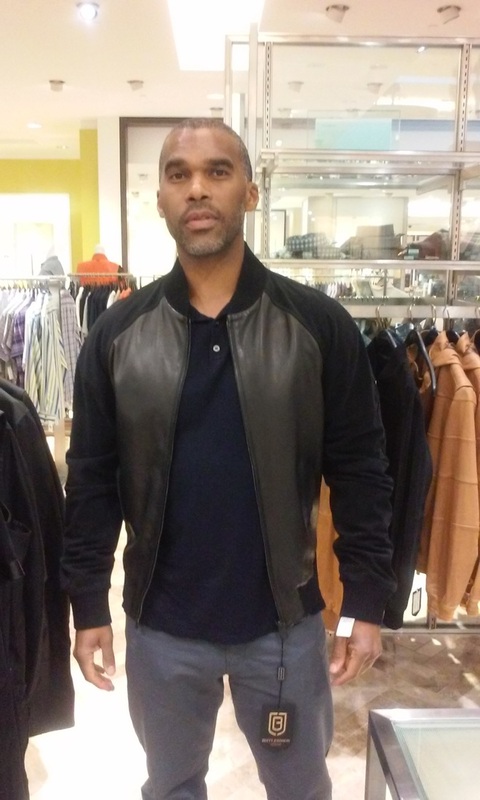 As the first African -American Billionaire​ and father of Brett Johnson​, I wanted to know his thoughts on his son's very first clothing line. Beaming with pride, he said "It's of fine quality, style and has been very well received". When speaking with Brett Johnson, I was impressed with his wealth of knowledge in Italian leathers, various fabrics and accessories. H​e​ stated the colors and cuts ​for his Fall/Winter Collection ​were inspired by Formula 500 Abu dhabi​.​ ​ "My line can ​easily ​transition​​ between day and night time club wear​". "As a kid, ​I would design my own sneakers​, I would​ take ​different fabrics​ and colors applying them to my all white Air Force Ones, that's when I really fell in love with the whole apparel thing​". I asked if there's a BRETT JOHNSON Shoe line on the horizon? He simply smiled and said "Maybe, but for now I'm going to focus on men's apparel, I love designing clothes".